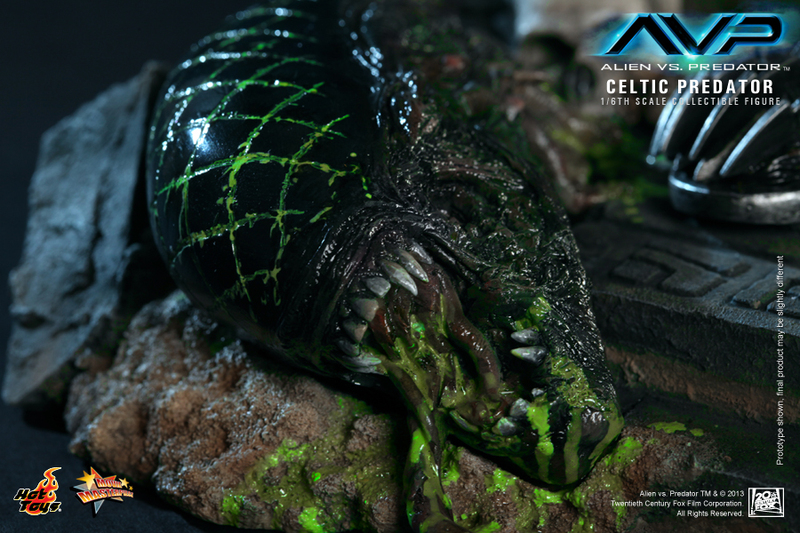 Alien vs. 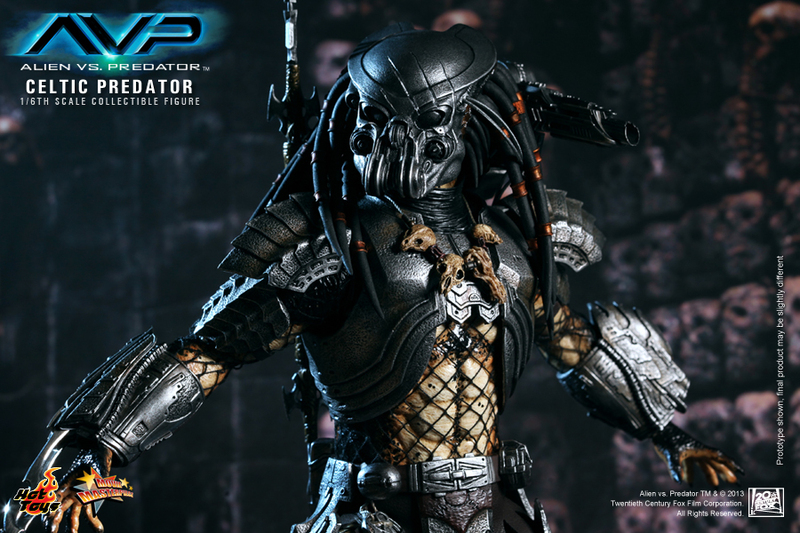 Predator, the crossover movie between the two dangerous extraterrestrial species, has been very popular among their fans since its release. 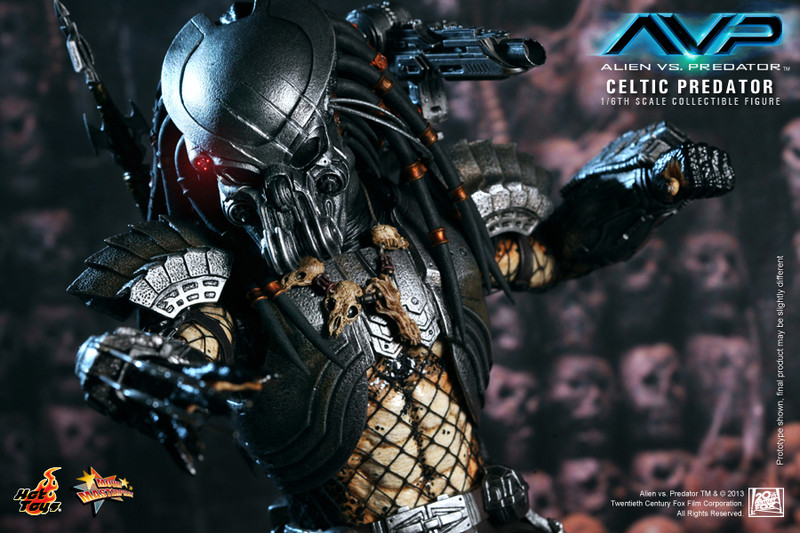 Following the release of Scar Predator, Hot Toys is proud to present the 1/6th scale Celtic Predator Collectible Figure from the Alien vs. 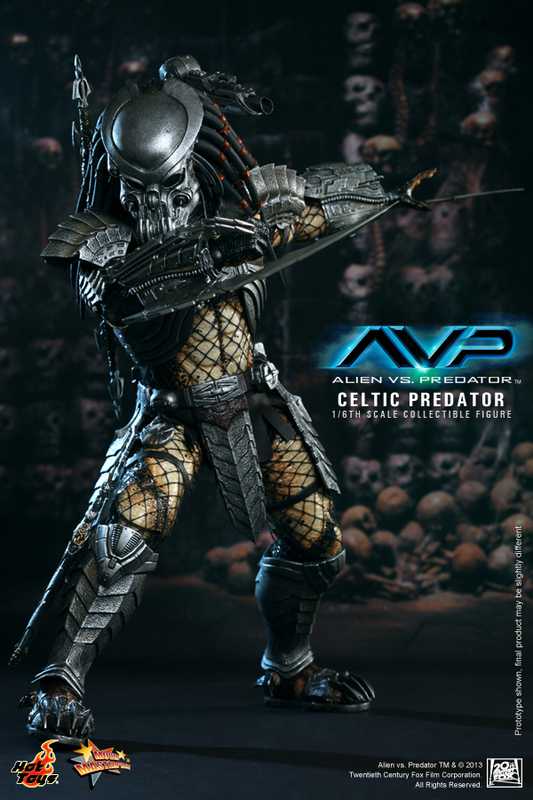 Predator movie. 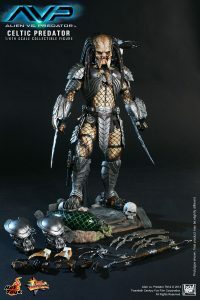 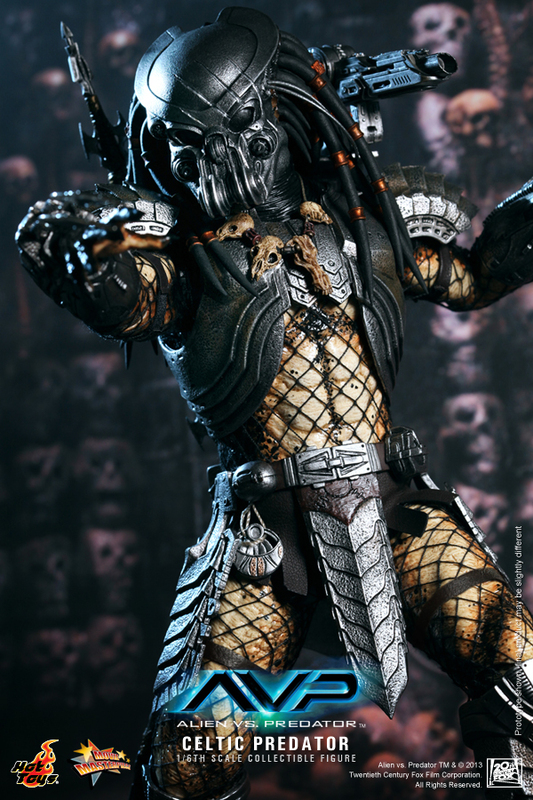 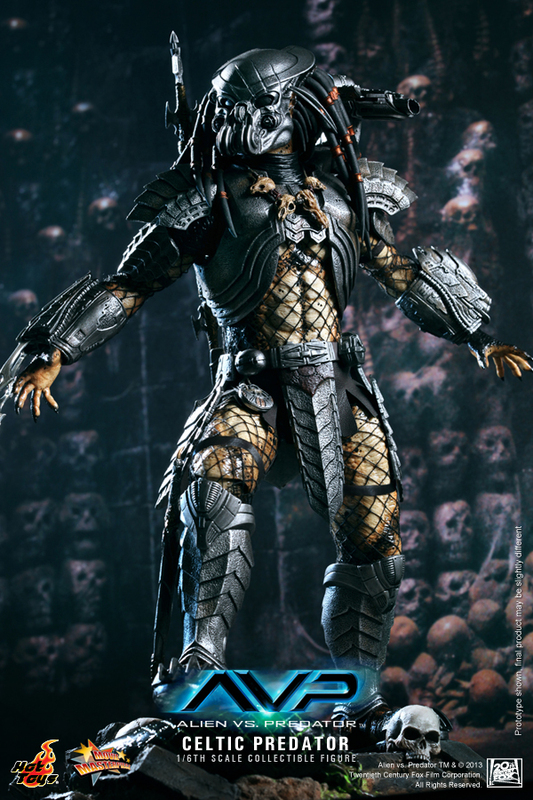 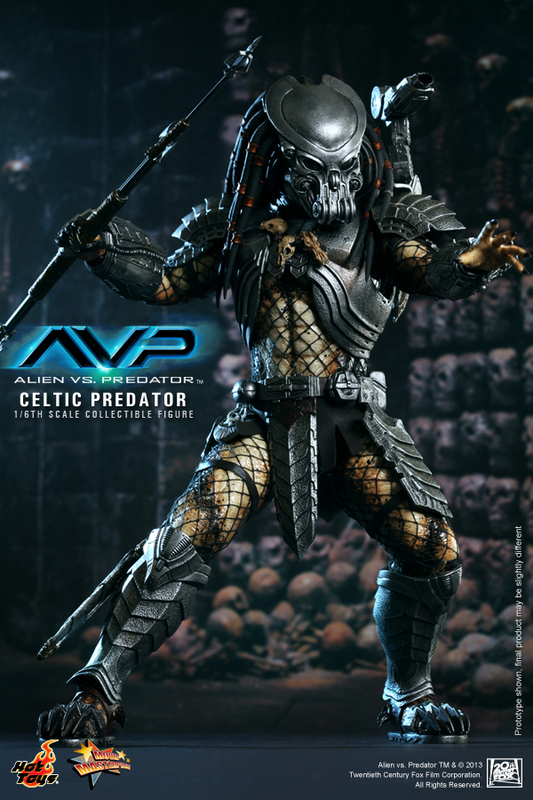 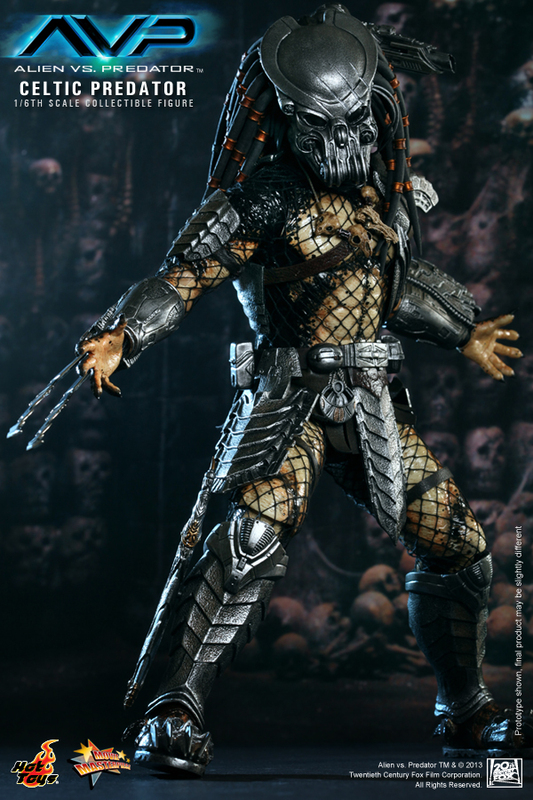 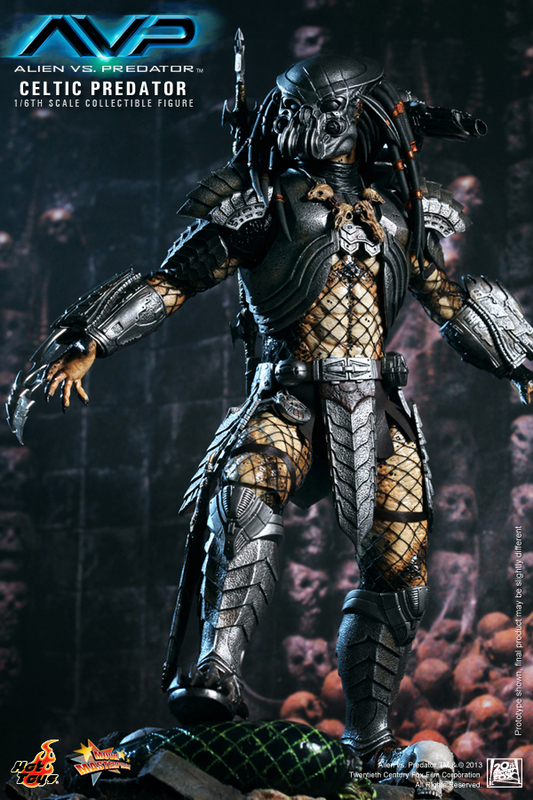 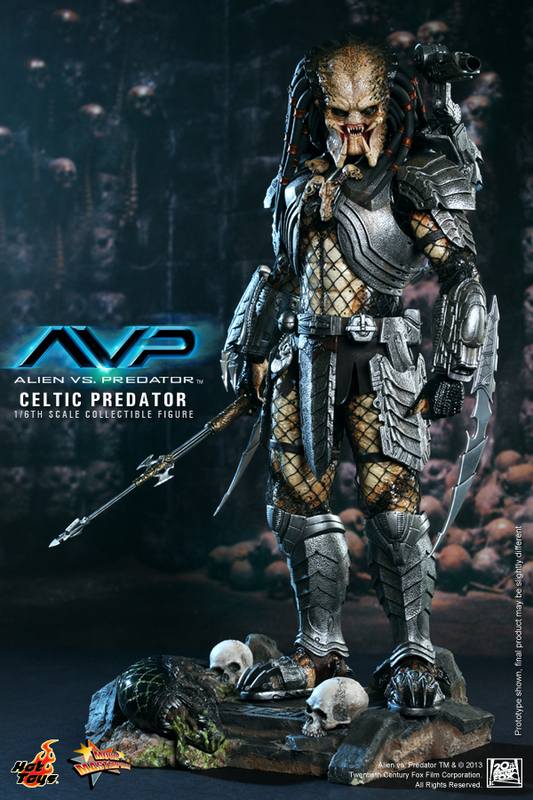 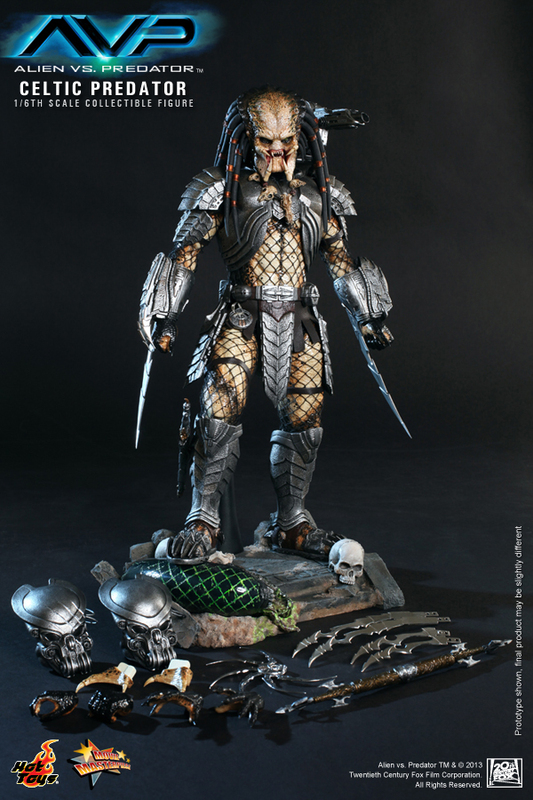 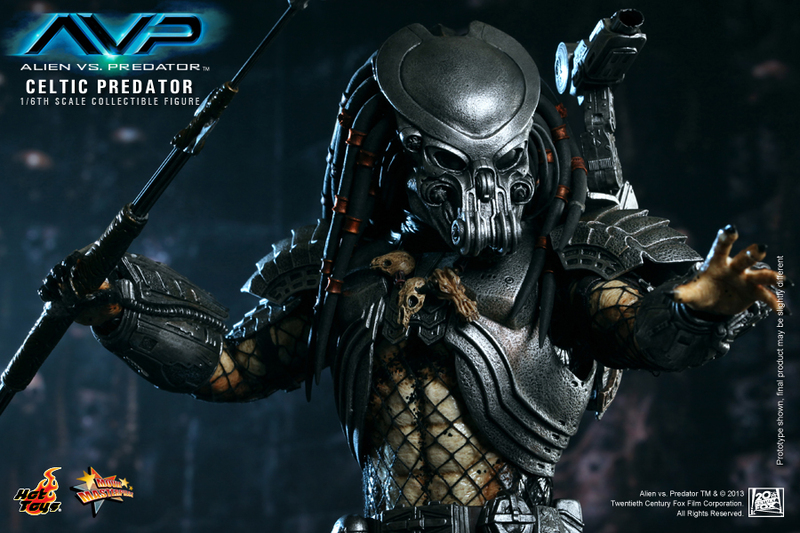 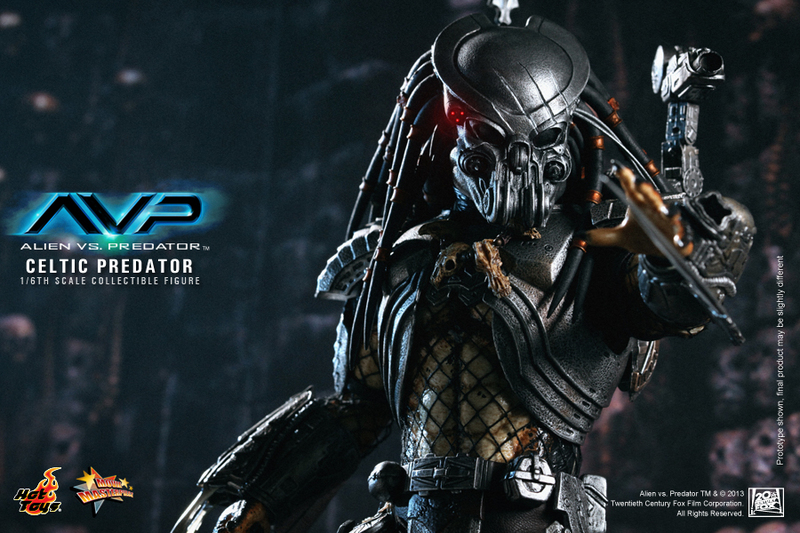 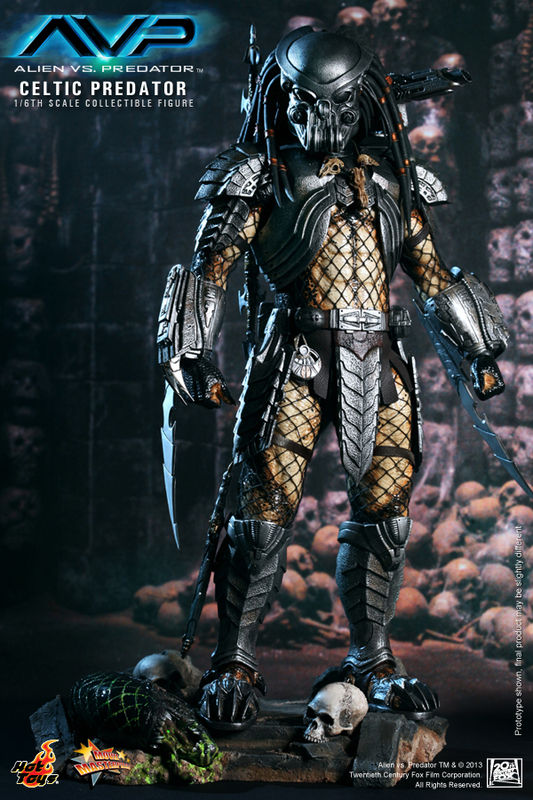 The movie-accurate Celtic Predator collectible is specially crafted based on his image in the movie, featuring his detachable signature light-up face mask, a battle damaged version of the face mask, highly detailed body armor, weapons and a rocky ground-like figure stage. 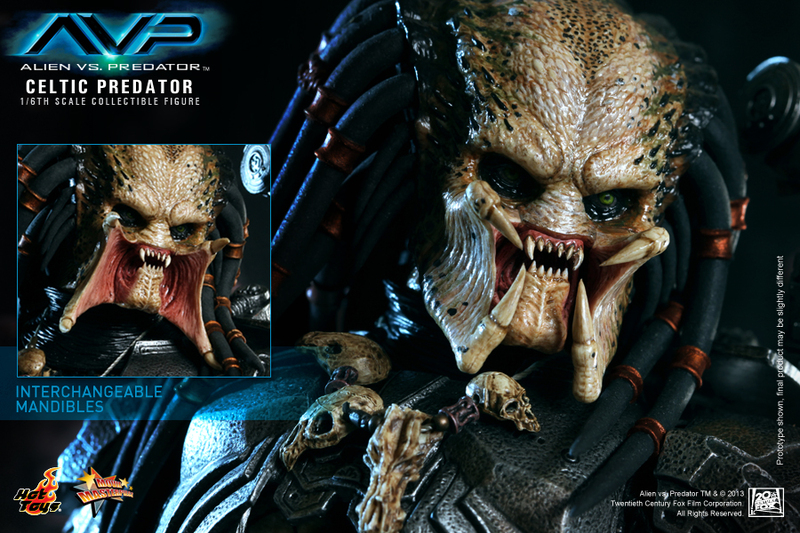 Preorder now at Toy Garden and Toywiz Malaysia for RM709 and a deposit of RM50 is required to place deposit. 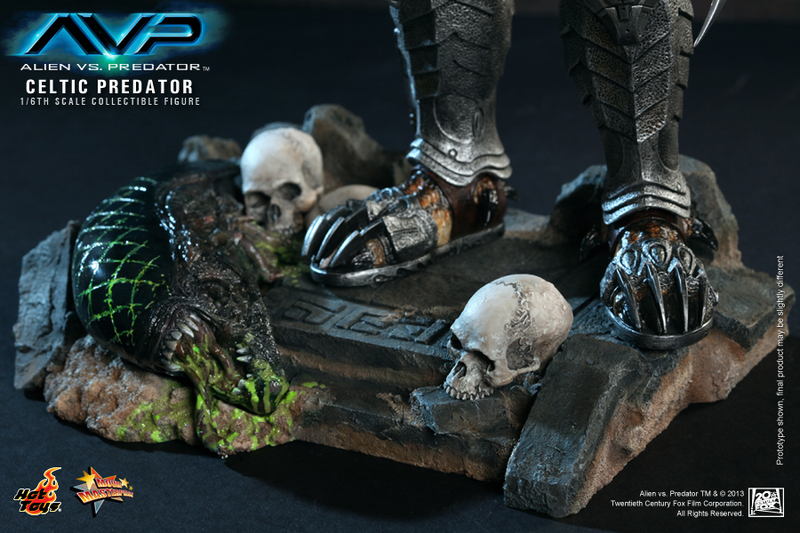 Estimated release date Q2 2014.